During the holy festival of Diwali (Deepavali), Hindus celebrate the event with a whole bunch of sweets and treats, one of them being Basbousa. Sweets are an important component during this Indian festival as they are made as offerings to the deity Lakshmi during poojas and, in return, the worshipper shall receive bountiful blessings for the coming year ahead. 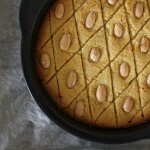 Basbousa is a semolina cake that is soaked in simple syrup after baking. 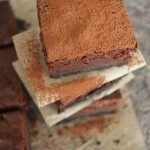 Brownies go down fast in this house; how can they not? They are sooo delicious, one slice is never enough. I made these for March’s Bake Club Challenge and I made some personal changes to the original recipe simply because I do not like nuts in my brownie. This brownie variety was kinda made up in the middle of the night and it turned out to be a keeper. Another one for my brownie file. Made a batch of chocolate mousse today to fulfill a long overdue promise I made to the boyfriend when he bought me my first stand mixer. It was a generous batch, so I decided to make the most of the stuff before it all disappeared down R’s gullet. 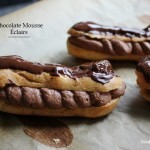 Simple to make using very few ingredients, this mousse is both rich and airy. 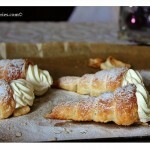 This article is dedicated to my childhood friend Claire, coz she loves cream horns … A LOT! 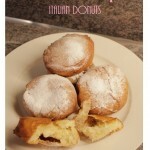 So this one is for her, even tho I won’t be able to send her a box full of these scrumptious pastries. Another great recipe to have on-hand when you have leftover mashed potato sitting in the fridge after that weekend dinner party. Fabio Viviani’s recipe for hole-less Italian donuts are really good; sooooo soft and fluffy on the inside, it’s like breaking open a cloud.